A New Daily Show That Gives You The Inspiration Needed To Live Your Best Life! The Daily Inspiration is your daily, quick fix of inspiration. Every morning; Brian Johnson brings you the daily dose you need to motivate you and help you take action. Brian is a Best Selling Author, host of The Dreamer Series, life coach and entrepreneur. In 60 seconds or less, Brian gives you steps to turn your dreams into your reality. From personal development , to finding your passion, to helping you build your best life. His daily does of advice are derived from his own experiences and his years of research into some of the most successful entrepreneurs and celebrities worldwide. Brian will inspire, educate and entertain you everyday while he shares his sage advice, best practices and amazing insight. The Daily Inspiration is your daily dose of motivation and tips to prepare you for the live you deserve! 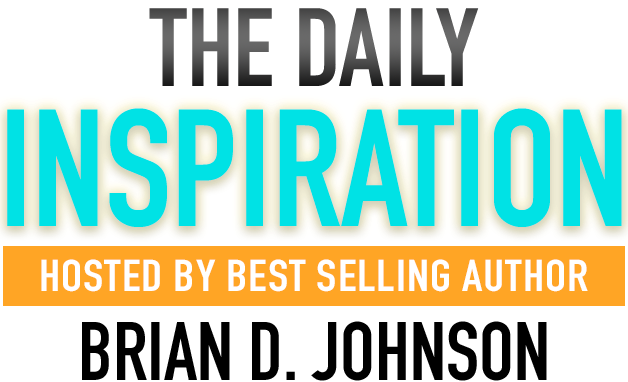 The Daily Inspiration publishes every weekday morning at 6AM ET!